Links (also referred to as inbound links and backlinks) are hyperlinks from another web page that contains a reference to your website. It points people to your business. Links are fundamental to being found on the internet. They prove “authority.” They are a primary criteria to search engines in determining page rank. Links demonstrate truths about business: People like to do business with people they know. What you say about yourself is not as important as what others say about you. To see who links to your site, there are a number of online tools. Like anything that has value, people try to game the system. Spammers have been known to load the back end of their websites with back links. Recent search algorithm have reportedly cracked down and take into account those who genuinely earn links and discredit ones who try to trick the search engines. How do you use links so they have enduring value? Here are 20 essential tips on link building for SEO and your bottom link. BEGIN BY CREATING A LIST OF HIGH VALUE LINKS: A simple way to begin is to search keywords that matter for your business; Note the websites that appears in top positions. CONDUCT AN INTERVIEW ON YOUR WEBSITE: An interview with a thought leader in your industry is likely to attract attention. 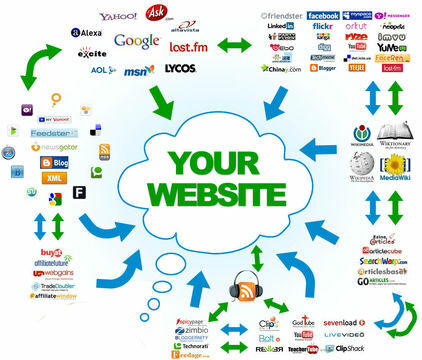 It’s also likely to be shared by others in your field creating links with relevant sites. GUEST BLOG: When you write a blog for other sites in your category, you receive a link as the author. For example, I write blogs for colleagues: Mark Schaefer and his Grow blog, Mike Moran on Biznology and Rutgers CMD as part of their MBA faculty where we all teach. REVERSE GUEST BLOG: Ask others in your field if they would write blogs for you in return. This taps into all of their links and points them to your site. REPUBLISH VIRAL CONTENT RELATED TO YOUR NICHE: Tumblr, Twitter, Facebook and LinkedIn are also good places to go for content you can link from your site and expect it to be shared. Reposting is always ethical if you’re giving attribution to the original source. FIND QUESTIONS ABOUT YOUR INDUSTRY AND ANSWER THEM: Participate in already existing discussions related to your content (forum threads, Q&As, other blogs, and online communities like Facebook groups and LinkedIn groups). Use your content as a reference to your contributions on these discussions. GIVE OUTBOUND LINKS TO GET INBOUND LINKS: Get in the practice of using links in your content. Often, you’ll finds those you mention in your content will offer a shout out to your business from their content. LEARN FROM COMPETITORS’ LINKS: Use any of the services mentioned above; use them to track links for competitive sites. You’ll get idea on other links to consider. CREATE CASE STUDIES ABOUT RESULTS FOR CLIENTS: If you make your clients look good in case studies about their business, they’ll be linking to your site. Referrals from clients are great business builders. SPEAK AT AN EVENT. Events usually give their speakers and sponsors great website publicity. You can also negotiate inbound links into your terms to be sure your time and resources yield beneficial inbound links. INCORPORATE “TWEET THIS” INTO YOUR CONTENT. Get inbound links by getting your content out to the masses. Including “Tweet This” links into “tweetable” content and get people sharing your content socially more often. PUT SOCIAL WIDGETS INTO YOUR CONTENT: Just like “Tweet This” links get your content out there, so do social sharing buttons and widgets. Put them into content like case studies, ebooks, and blog posts. REVIEW BOOKS, PRODUCTS AND SERVICES IN YOUR FIELD: Invite other to share their reviews and ratings and build links as well as industry authority. CHECK FOR BROKEN LINKS: It’s frustrating if people are linking to your site but it is to a page that is not accessible. So check for “broken” links. Google offers a browser plug-in for Chrome that does this called Link Checker. REGISTER IN DIRECTORIES FOR YOUR FIELD: There are reliable directories for any field that can list your business as a credible resource. As an example, this site in included in the Alltop directory of top blogs for digital and social media marketing. CROWDSOURCE IDEAS: Whether it’s a survey, request or forum, ask people for their input, ideas and opinions. It’s always a great way to create link value. It’s not only a good to elevate your “authority” in a particular field but to generate leads. PRODUCE VALUABLE CONTENT ON A REGULAR BASIS: Publishing valuable, useful, relevant, helpful content on a regular basis is the most reliable and fastest strategy there is to earn links back to your website. Content isn’t just king, it’s good business. 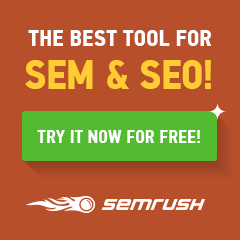 Do you think these link building strategies would build your SEO and business? Will you use any of them to build your bottom line? Another great post and list, Rob. Coincidentally (I promise), I’ve written on a similar topic in the past: http://vanderwerker.com/link-building-for-beginners/. Keep up he good work, and let me know if you’d like to swap guest posts. Great post! Indeed, Social link building have become more strict, but there are still some legit ways, such as what you mentioned here, to rank high on search engines.